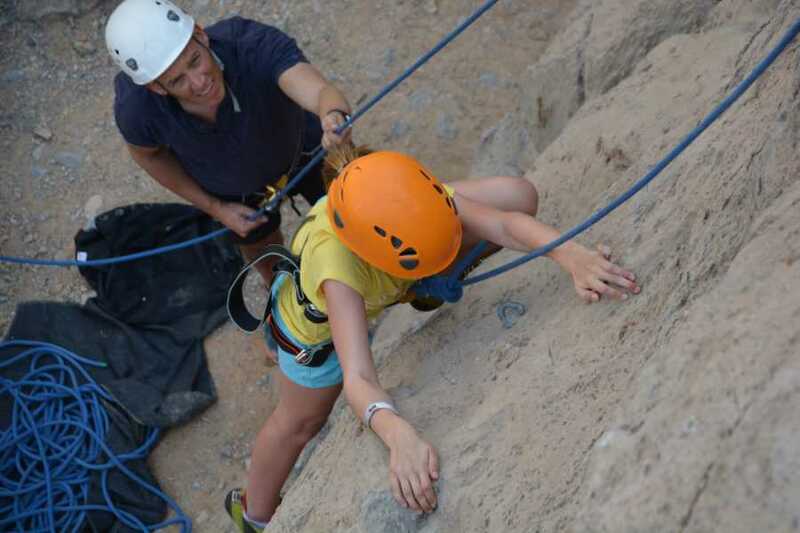 Our beginners course is an introduction to knots, equipment, climbing techniques and belaying, on real rock in the spectacular Wadi Khab al Shamsi. 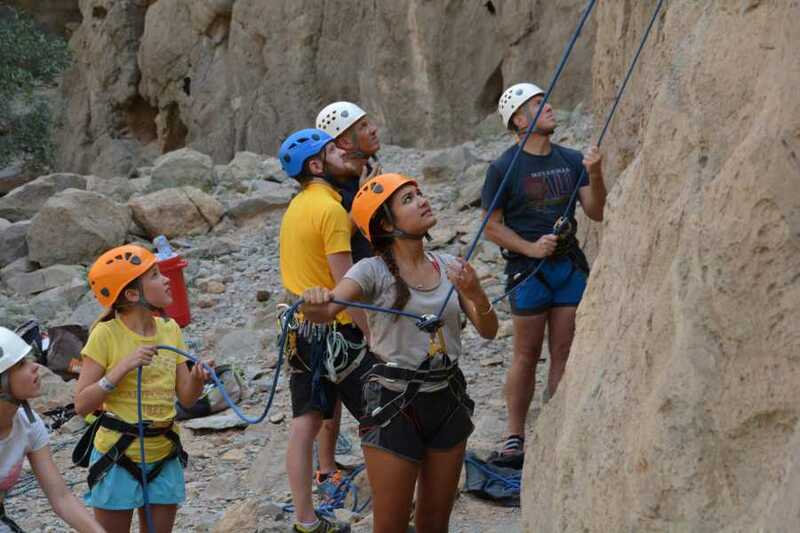 If you're looking to get into the sport of rock climbing, this is a great way to start off. 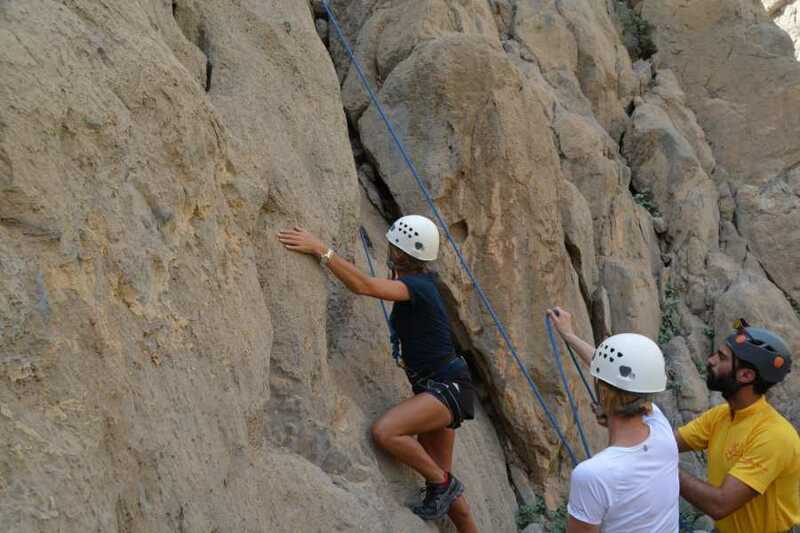 Led by our highly qualified guides, you'll learn all of the basics in a safe and controlled manner. 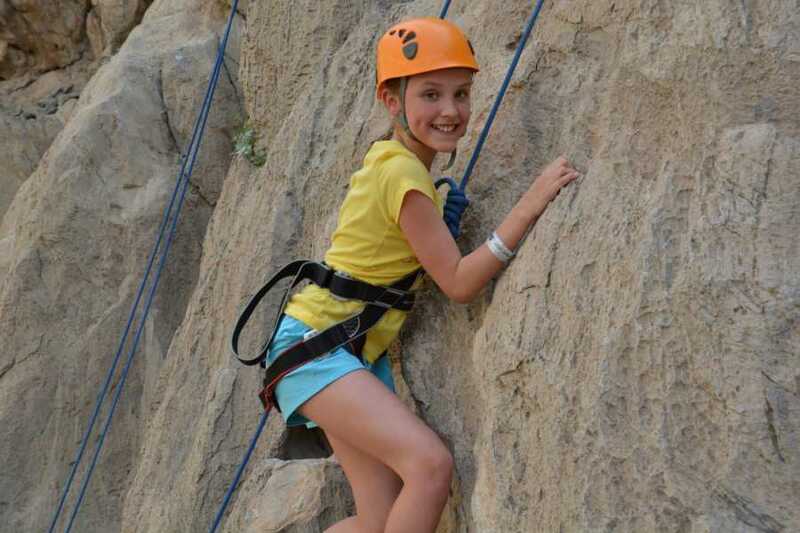 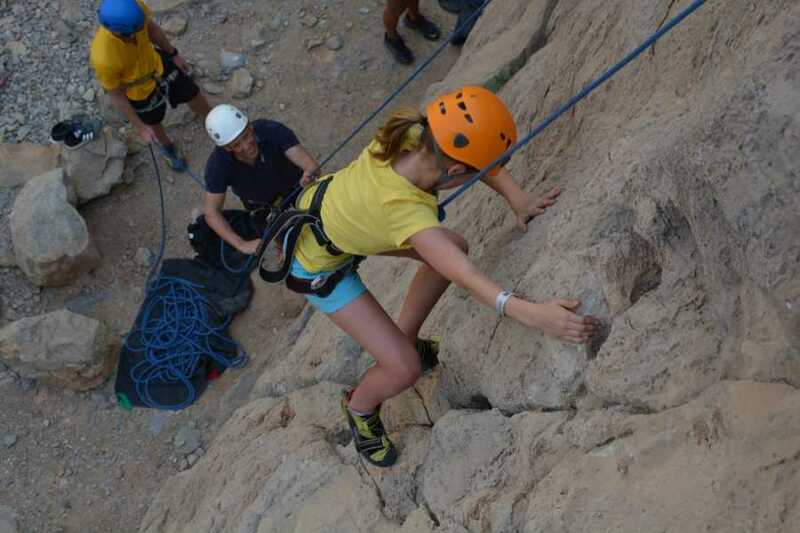 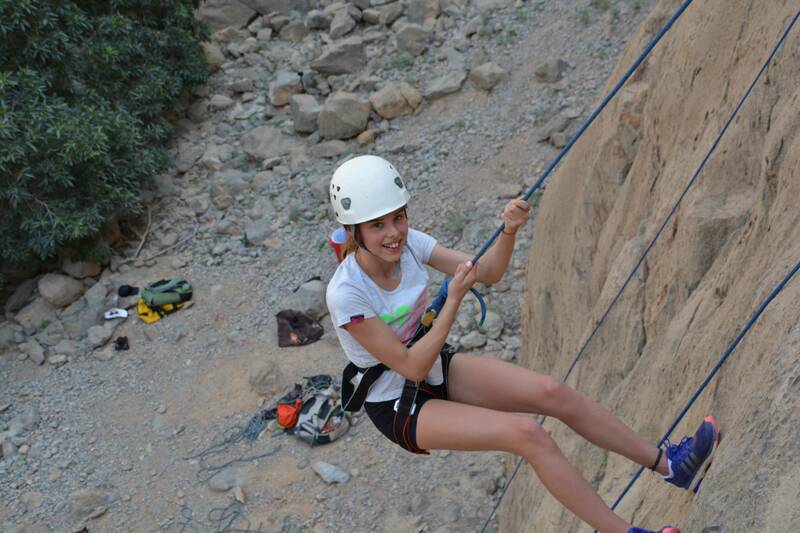 You'll learn new skills in a stunning wadi setting, rather than an indoor climbing wall. Being out with a fun group, connected to nature and challenging yourself on the wall is what climbing is all about!